Fossil Group, the company better known for its quality wrist watches has now launched its new range of Wear OS based smartwatches in India. Starting with a price tag of Rs. 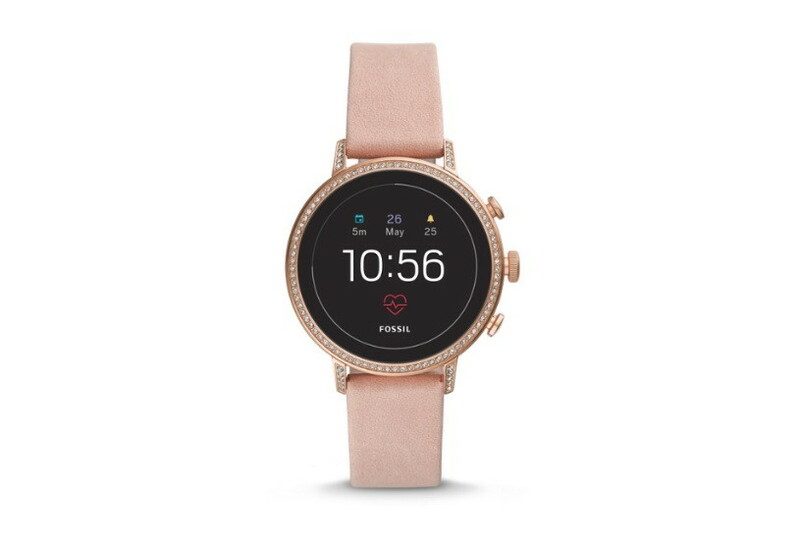 19,995, the new range includes smartwatches from 7 different brands, including two of the Fossil branded Gen 4 Smartwatch Venture HR and Explorist HR smartwatches. Other smartwatch brands included in the list are Skagen, Michael Kors, Emporio Armani, Diesel and Armani Exchange. All 7 smartwatches come with Google’s Wear OS powered by Qualcomm Snapdragon Wear 2100. All the seven smartwatches come with features like heart rate sensor, GPS, accelerometer, gyroscope, ambient light, and microphone. Additionally, all the smartwatches also feature Bluetooth, wireless syncing and magnetic charging with a powerful battery which can last up to 24 hours on a single charge. The watches features a 1.9-inch touchscreen display, customizable watch faces, interchangeable watch faces, and it is also compatible with iOS9.3+ and Android 4.4. We are not sure, whether the heart rate sensor on these smartwatches will work like seen on the New Apple Watch series 4 but it should definitely work fine, as theses smartwatches come from really big brands.